Aurora Flight Sciences is a company working on making full-scale autonomous combat craft a reality, and now some of its work is ready for prime time. The company showed off an autonomous helicopter created to demonstrate its Autonomous Aerial Cargo Utility System contribution for the Office of Naval Research’s ongoing work in the field, and it successfully navigated a UH-1H helicopter from start to finish through a mission in which it’s loaded up by Marines and then navigates through the air to another who makes the request for supplies on a tablet – kind of like ordering an Uber. 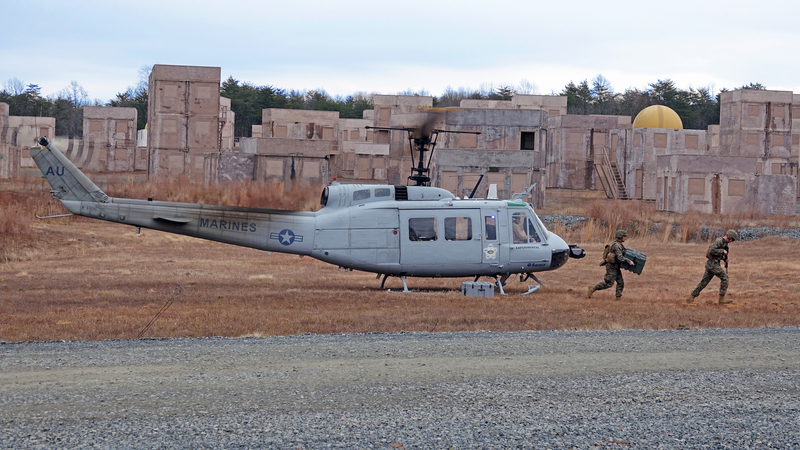 The autonomous piloting system is deigned to be aircraft-agnostic (for vertical take-off and landing vehicles, specifically), meaning it’ll work with vehicles other than the UH-1H light transport helicopter used here. The aircraft is equipped with additional hardware and software including LiDAR and camera sensors for obstacle avoidance and route-planning, but is otherwise a stock version of the vehicle. This demo from Aurora (which is in the process of being acquired by Boeing to help boost that aerospace company’s autonomous efforts) marks the end of its AACUS program contributions, and work on the systems will now be handed over to the U.S. Marine Corps for additional experiments and potential implementation, the company notes.